As the 2014 Simple Green U.S. Open of Handball approaches and all of the game’s best players in each code of handball prepares to stake their claim as the best in the sport, let’s examine the sport’s best rivalries between the best players that make handball so compelling. The rivalry between Paul Brady and Luis Moreno is without a doubt the most captivating rivalry in handball, as handball fans on both sides of the Atlantic stop what they are doing to watch the two giants battle for handball supremacy. Brady and Moreno might be the greatest rivalry in the history of the sport in terms of must-see handball. Fans in Ireland stay awake all night to watch the duo play, while the WPH is inundated with broadcast pass purchases each time Brady and Moreno face-off. 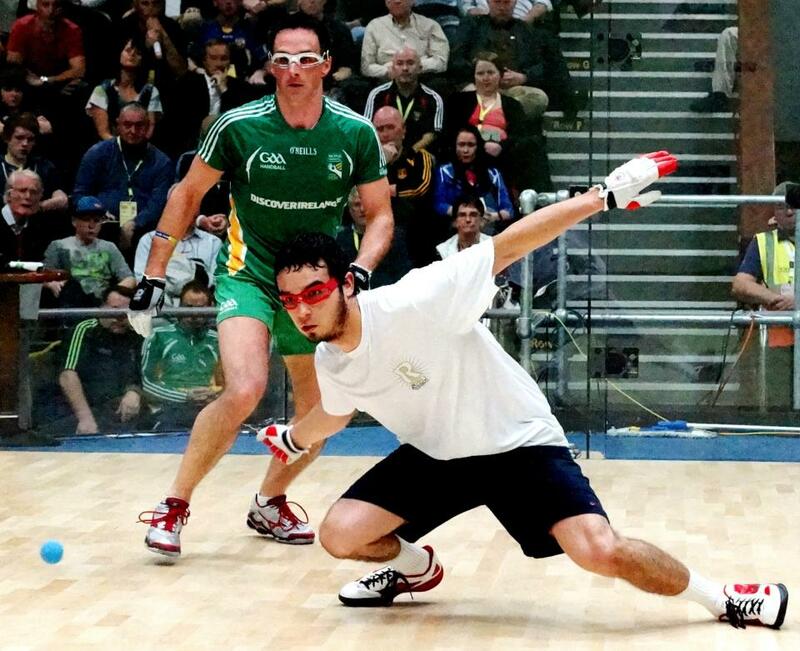 Ireland’s Paul Brady is the undisputed number one player in 4-Wall handball, having won four consecutive world championships and the last nine national championships in which he has entered. Luis Moreno has dominated the WPH Race 4 Eight tour since its inception in 2011, winning nine of 21 stops in the first three seasons. Despite an eight-year age gap, Moreno stunned Brady in their first encounter at the 2008 Simple Green U.S. Open, upsetting the world #1 in a thrilling 11-10 tiebreaker and becoming the only player to defeat Brady between 2005-2013. The pair staged an even more dramatic clash in the finals of 2012 World Championships in Ireland, playing in front of the largest gallery in the history of handball. Moreno raced to a 14-4 lead in game one, silencing over 4,000 Brady supporters and seemingly en route to becoming the world champion in Brady’s backyard. Brady climbed back into the match, feeding off the energy of his countrymen and ultimately tying Moreno at 19. Brady scored the next two points to clinch the first game, punctuated by an impassioned fist pump and the loudest gallery roar in the history of handball. Brady would cruise in game two to win his fourth consecutive world title, but the seeds of the rivalry had been firmly planted. The pair has played twice since their epic 2012 encounter, with both matches extended into electrifying tiebreakers won by Brady. The two handball giants bring out the best in one another, matching power, speed, athleticism, and fearlessness. The 2014 Simple Green U.S. Open will feature Moreno aiming to claim the title as the world’s best, while Brady will aim to defend his unprecedented 10-year run atop the world of handball. Catriona Casey and Aisling Reilly both hail from Ireland but the similarities abruptly end there. Casey’s small stature belies her unparalleled two-handed attack, complete with masterful control, freakish anticipation, and hidden power. Aisling Reilly looks the part of a world-class athlete: tall, strong, and possessing unmatched power in the history of the women’s game. Casey enters the Simple Green U.S. Open as the defending champion, having defeated Reilly in last year’s final. In fact, Casey and Reilly have met in the finals of every major ladies 4-wall event in the past 18 months in both Ireland and in the United States, with the ladies splitting their previous eight encounters. 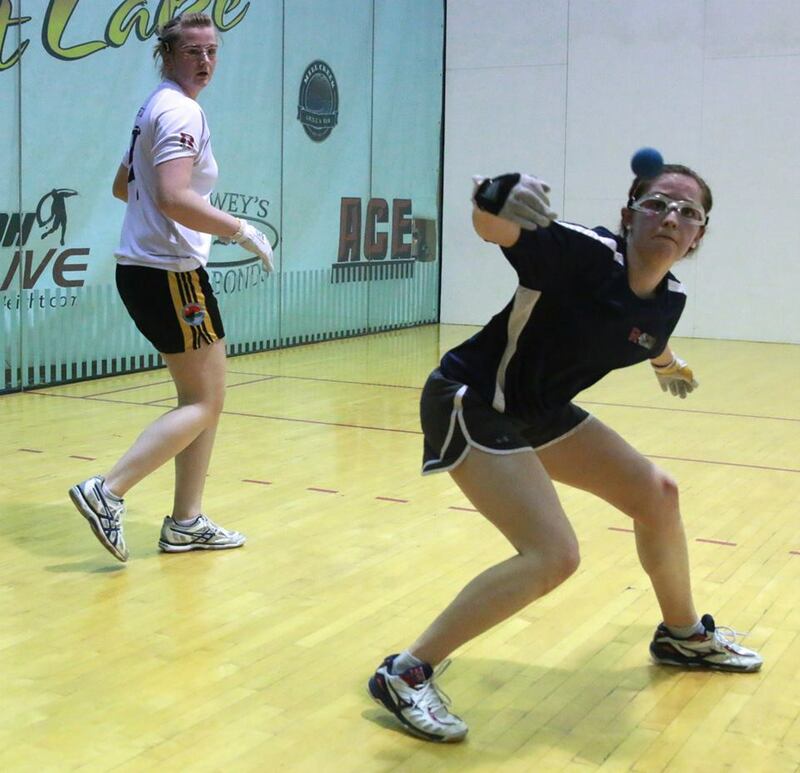 Casey rebounded from a one-sided trouncing at the hands of Reilly in April of 2014 at the All-Ireland Championships to comfortably defeat her adversary in consecutive finals at the 2014 WPH Women’s Race 4 Eight Player’s Championship and the 2014 USHA 4-Wall Nationals. Casey certainly appears to have to the momentum in this rivalry as the two are set to make the 5,000-mile journey to Southern California and the 2014 Simple Green U.S. Open, but momentum has not proven to be a strong predictor in this match-up. These ladies are not only competing against one another but history as well, as many in handball believe that Casey and Reilly are the two best women to ever play the 4-Wall game. The winner of the 2014 Simple Green U.S. Open will certainly stake her claim as the game’s best, now and throughout the illustrious history of women’s handball. 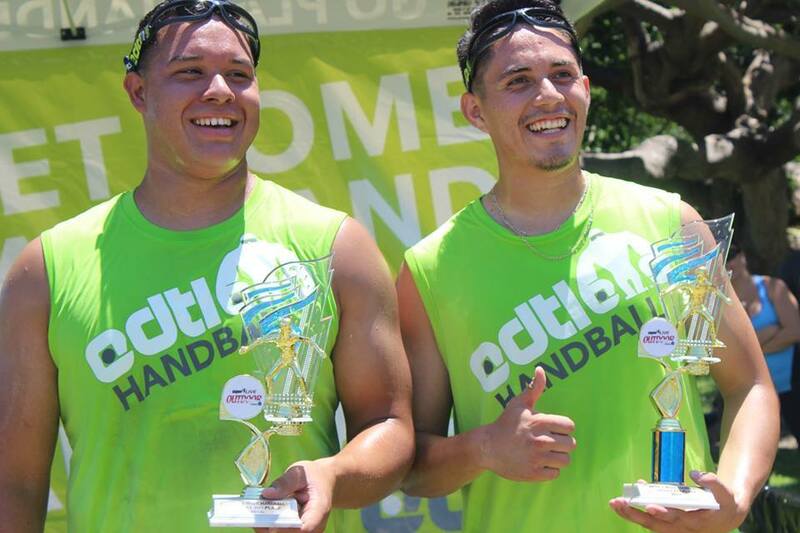 Juan Santos and Samzon Hernandez have developed the most compelling rivalry in outdoor handball since the inception of the WPH Outdoor 3-Wall Big Ball Player’s Cup series in 2012. The superstars have met in 10 Player’s Cup finals in the past three seasons, with each winning five. Santos has revolutionized the outdoor game with a virtually unreadable and nearly impossible serve to return, followed by soft and perfectly placed kill shots. Hernandez possesses the build of a linebacker and the tenacity to match. Relying on power, intensity, and a burning desire to win, Hernandez overwhelms his opponents by breaking them physically and mentally. Their contrasting styles and the unpredictability of their clashes make all of their matches must see. Hernandez began his 2014 Player’s Cup campaign on a mission, winning the first two events and seemingly on the verge of a perfect season. Santos emphatically ended Hernandez’s quest for a perfect season at 2014’s third Player’s Cup event, thrashing his rival in two lopsided games. Santos continued his extraordinary play in the season’s final event, dominating the field en route to becoming the 2014 Player’s Cup Player of the Year, edging Hernandez by mere fractions of ranking points. Hernandez will be hungry to reestablish his winning ways at the 2014 Simple Green U.S. Open, an event he has dominated in the past three years. Santos has never won the prestigious Simple Green U.S. Open, having lost in the semifinals in 2013 and being dismantled by Hernandez in the 2012 final. The Simple Green U.S. Open is the final 3-Wall event of the year and will very likely produce fireworks between the two best players in 3-Wall handball. Tanisha Groomes has established herself as the most prolific winner in professional sports, having won 10 of 11 WPH Outdoor Women’s Player’s Cup events since the inception of the tour in 2012. Groomes possesses an astounding winning percentage of 97% in her Player’s Cup career, losing just one of her 33 career matches. 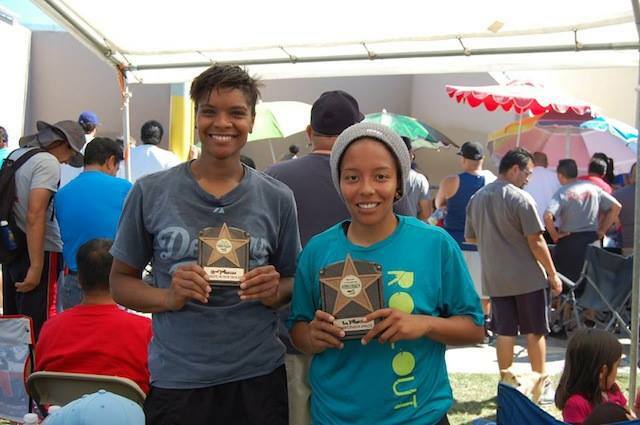 Tracy Davis is widely regarded as the greatest all-around handball player in the world, holding the women’s national and world 1-Wall titles, the national 3-Wall small ball title, and currently holding the #3 ranking on the WPH Women’s Race 4 Eight 4-Wall tour. Groomes and Davis have met just twice in Women’s Player’s Cup play, with both matches being won by Groomes. Groomes overcame match point in the pair’s first encounter and survived five game points in the first game of their second encounter. Groomes’ ability to win close matches has become her strength, as evidenced by her Houdini-like escapes in close matches. Davis is perhaps the most mentally strong player in handball and will undoubtedly be fueled by her close defeats to Groomes in future match-ups. Groomes and Davis will likely meet in the first ever Women’s 1-Wall Doubles at the 2014 Simple Green U.S. Open, as Davis will be favored to earn her first victory over Groomes on her preferred 1-Wall court.